These presentation slides 50131 are complete compatible with Google Slides. Simple download PPTX and open the template in Google Slides. 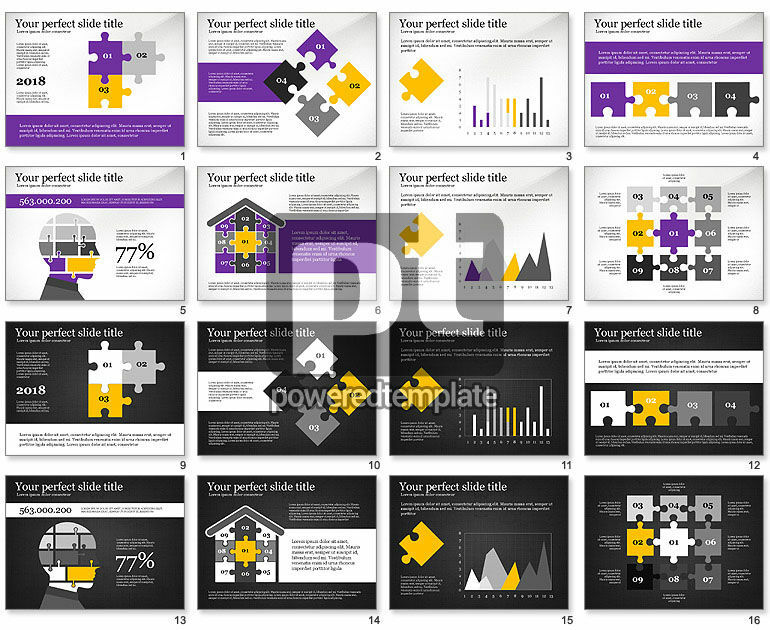 Represented slide deck is very bright and informative because it includes juicy colors and puzzle pieces to introduce the informative part of the presentation. The main concept is supported also by charts, timelines and diagrams, and makes this presentation possibly for using in idea presenting for startup and other projects.